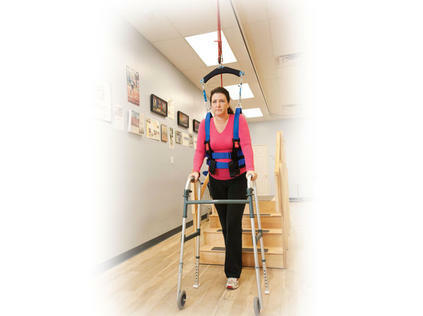 Safe ambulation and support over ground, stairs, parallel bars or equipment. Multi-user capacity optimizes equipment and staff in a safe environment. What's the best way to practice falling? Practice falling in a safe environment. The need is clear. A startling 62% of PTs and 56% of PTAs reported injury to the low back while assisting patients1 and for stroke patients alone, as many as 39% were reported to have fallen during inpatient rehabilitation2. 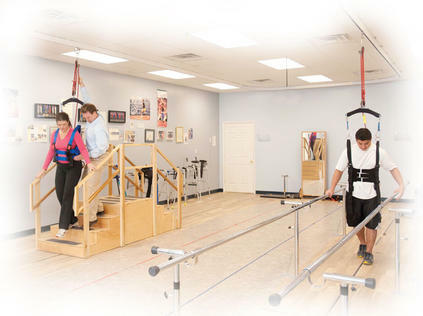 Biodex FreeStep SAS is an overhead track and harness system that provides a safe ambulation environment for both therapist and patient. 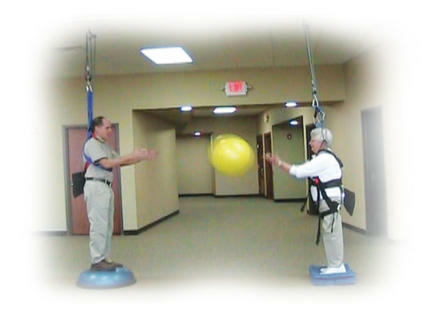 Without the fear of falling, patients can focus more fully on their tasks of gait and balance. Likewise, therapists can focus on assisting, rather than supporting. Biodex FreeStep SAS can be custom configured to your facility, complementing the existing equipment floor plan. Install as a simple loop for continuous ambulation over stairs or through parallel bars, or add side branches for equipment-specific stations to include treadmill exercise or balance training. 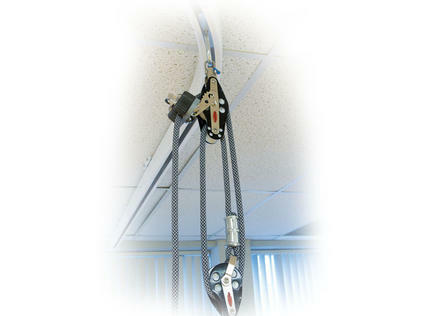 Whatever material is behind your ceiling, FreeStep SAS can be installed... wood beam, steel or even concrete. 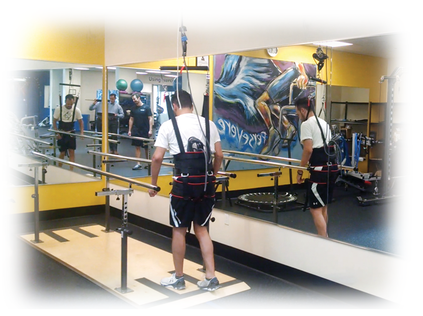 Standard installation can support up to 750 lb per, or two 375 patients on one 8-foot track. 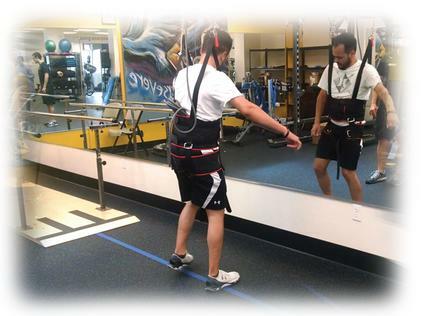 The construction of FreeStep SAS allows multiple users performing varying exercises to benefit from supported ambulation without increasing PT attention. Therapists can treat high-risk patients one-on-one, without adding a second therapist to assist. 1 Darragh AR, Huddleston W, King P. Work-related musculoskeletal injuries and disorders among occupational and physical therapists. American Journal of Occupational Therapy, 2009 May-Jun;63(3):351-62. 2 Nyberg L, Gustafson Y.Patient falls in stroke rehabilitation. A challenge to rehabilitation strategies. Stroke. 1995 May;26(5):838-42. Provides immediate benefit without requiring additional floor space. Simple loop with side bars set over stairs and parallel bars. Determining the best layout for your track system begins with a basic drawing of your existing or future equipment floor plan. Detailing clear dimensions is essential. 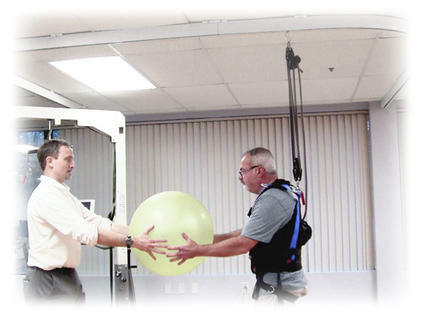 A Biodex Product Specialist will work with you to realize optimum utilization of your equipment, space and supported ambulation enhancements. Contact Biodex to begin the process! LUBBOCK, TX (KCBD) - No matter your age, we know walking is great exercise, right? But what about people like Morris Graham? At age 85, he's timid about walking because he needs a walker to keep his balance.